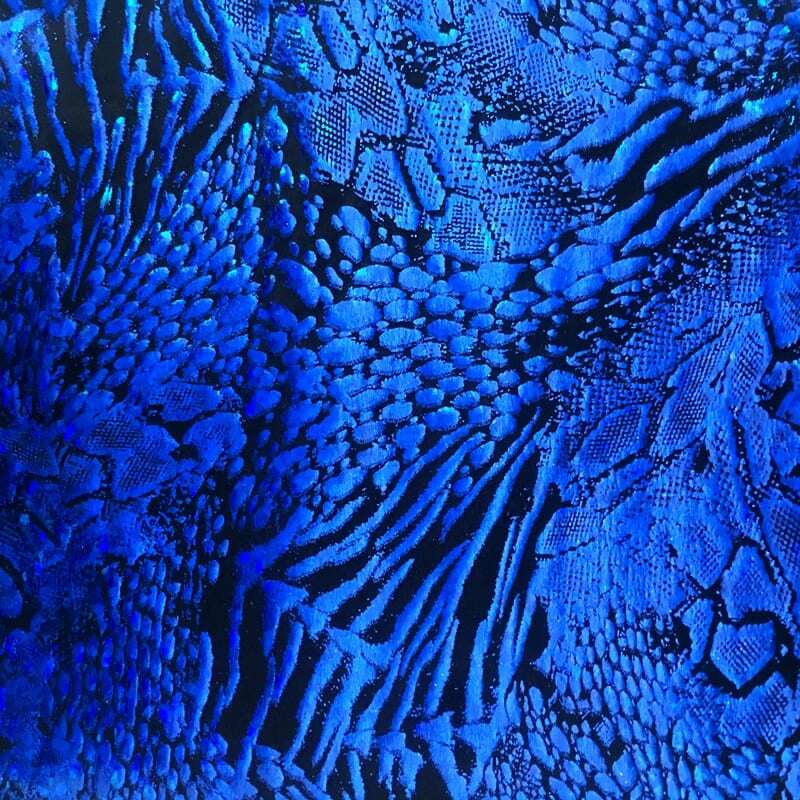 Royal blue animal print hologram fabric featuring black stretch base fabric topped with royal blue shattered glass holographic foil in multiple animal prints for brilliant shine and sparkle. 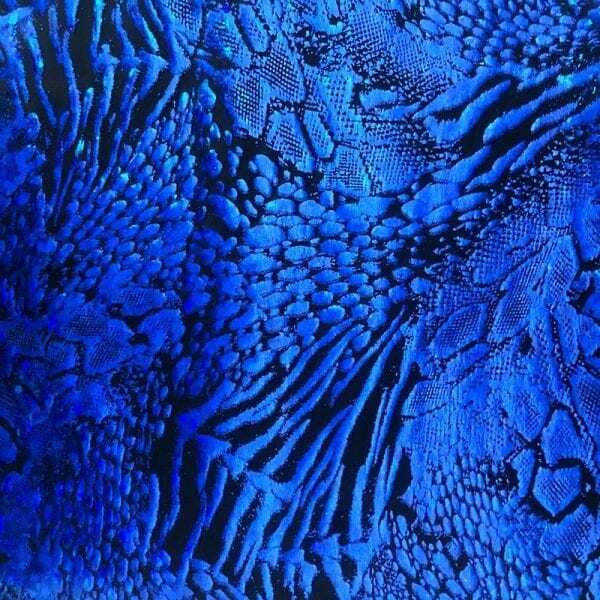 Especially stunning when combined with motion and light. 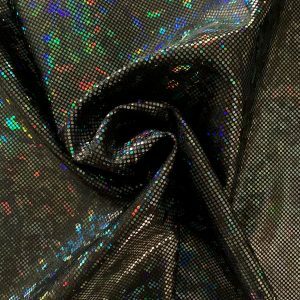 Perfect for dance, cheer, bows, gymnastics, figure skating, costume, cosplay, apparel and more. 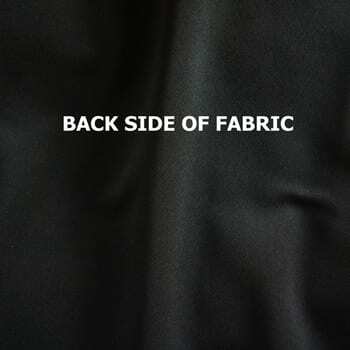 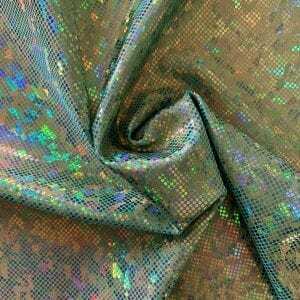 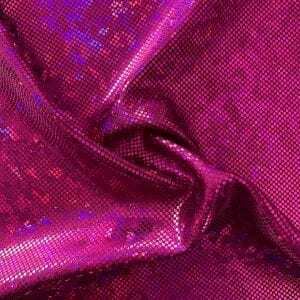 The stretch characteristics make this fabric perfect for snug fitting garments such as leotards, costumes, leggings, etc. 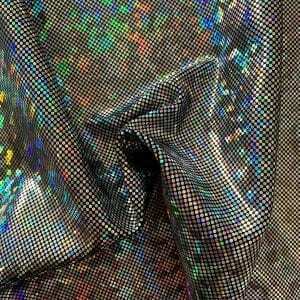 May be used for swimwear with the knowledge that the shiny foil finish can suffer eventual damage and dulling from exposure to sunscreens, tanning oils, chlorine and salt water.